Cutting Edge Sports Management (CESM) will present the first Dream Bowl Weekend January 12-16, 2017 with family and football-related activities culmination with the HBCU Spirit of America Bowl during Martin Luther King, Jr. Weekend. The Dream Bowl Weekend will raise social awareness and offer career opportunities on and off the field through sport and competition. HBCU Band performances; and a career services and career fair for the student-athletes. The Weekend will celebrate the tradition, heritage, community, and culture of HBCU football with full interaction with its athletes, fans, students, and alumni. 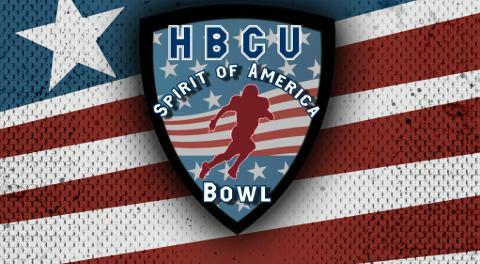 The Dream Bowl Weekend Event will capture the spirit and lifestyle found on the 107 HBCU campuses across the country. Building off of the success of the Dream Bowl, which is now entering its fifth year, the HBCU Spirit of America Bowl will feature 110 of the best players from the 53 HBCU football programs across the country who play in 13 different conferences from the NCAA D-I FCS and D-II divisions and in the NAIA. The game will be played in the Hampton Roads region of Virginia. Hampton Roads is home to two MEAC Conference (D-I FCS) schools, Hampton University and Norfolk State. In addition, two other HBCU schools (Virginia State and Virginia Union) are within a two-hour drive, while Virginia University-Lynchburg, Winston-Salem State, and Morgan State are within a 4-hour drive. The MEAC conference fans are also used to traveling to Hampton Roads for inter-conference games against Hampton and Norfolk State. The 110 student-athletes will be coached by African-American coaches and the fans will be treated to a halftime show featuring an HBCU band performance celebrating the music and dance of the HBCU community and culture. Scouts from the NFL and CFL will conduct a true combine for all Spirit of America Bowl players following the same tests and set-up established by the NFL-Super Combine in Indianapolis. We are looking to televise the combine this year. The players, their friends, families, and former coaches, along with NFL and sport industry dignitaries are invited to the HBCU Spirit of America Bowl Sports Awards Banquet. Each player receives a free ticket to the Sports Awards Banquet where the athletes are introduced and presented with their personalized game jerseys by their head coaches. Special awards will also be presented to the athletes and coaches. The banquet guests will be treated to motivational speeches from a keynote speaker who will inspire the players and guests. Last year’s banquet hosted over 300 attendees and 6 former NFL players. The numbers do not lie: 95% of Fortune 500 CEOs played college sports. Athletes make great prospective hires as they are equipped with valuable skills that often cannot be found on a resume. Dedication. Perseverance. Commitment. Drive for excellence. Teamwork. Leadership. Ability to bounce back from loss or defeat. These qualities translate into success on the field and more importantly for companies, success off the field. The vision of CESM is help create a successful transition from sports to career by bringing national companies and organizations looking to hire recent and soon-to-be college graduates with the skills ready to enter and succeed in the workplace. CESM will attract companies and CEO’s from around the country and play host to a weekend filled with career services workshops including resume preparation, interview coaching, and goal-setting seminars. CESM envisions providing every student-athlete at the Dream Bowl Weekend the opportunity to transition to a successful life after sports by making a positive impact in their lives. Traditionally, HBCU fans and community turn HBCU football games (especially the HBCU Classics) into multi-day spectaculars, where they gather to celebrate football, culture, music and customs. Similar to a college bowl game, the fans show their pride in their schools and their heritage with parades, dancing, tailgating, and grilling their favorite foods. Details about the rich HBCU fan base and rich history with respect to major events and football legends, are in the following appendix. Drew a 1.9 overnight rating on a Saturday afternoon, according to Sports Media Watch. Second highest rating of the day, trailing the Las Vegas Bowl featuring rivals Utah and BYU. Beat out Fox’s UFC coverage at 8:00 p.m. which garnered a 1.82 rating.